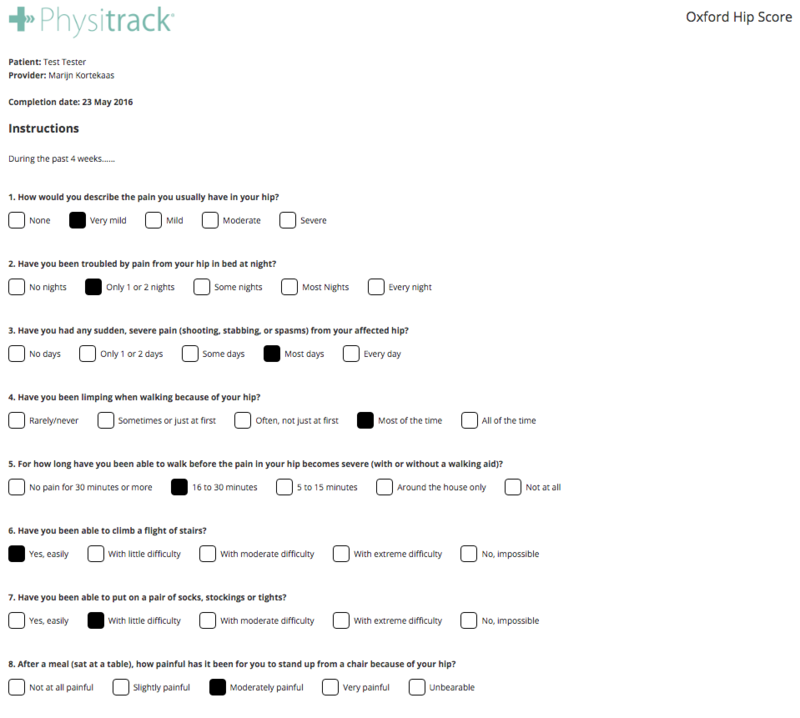 Physitrack lets you view client outcome measure results and save as a PDF to e.g. upload to the client file in your practice management system. 1. Go to Clients and click on a client. 2. 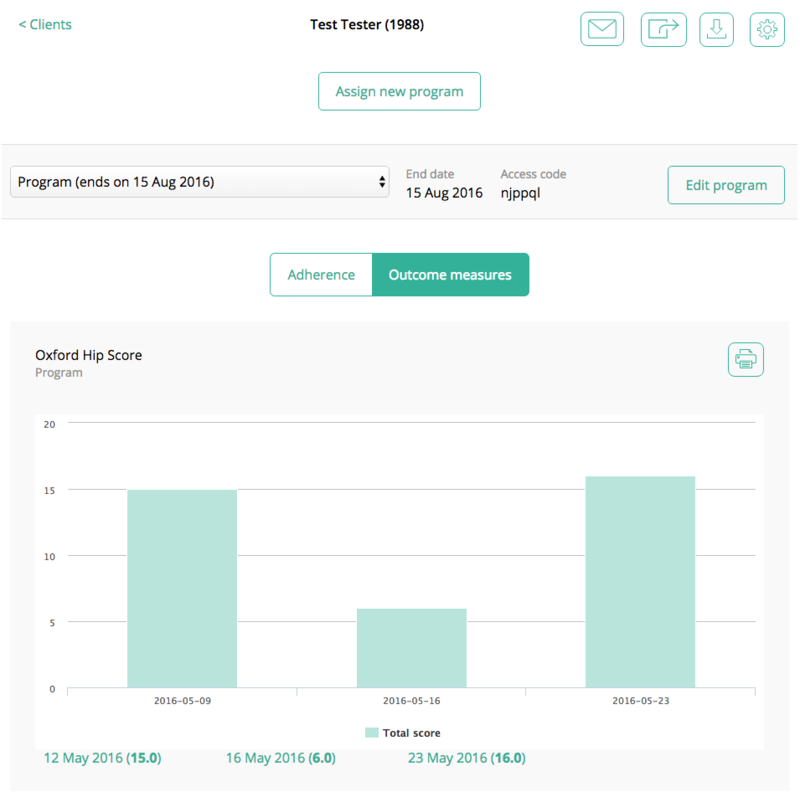 Click on the Outcome measures button (button only visible if you included an outcome measure survey in the client's exercise program). 3. Move your mouse over the bar charts to see the total score for each outcome measure. 4. Click on the date links underneath the chart to view the detailed questions & answers to each outcome measure. You can save the results as a PDF or print it out to attach it to a client file. How do I turn client outcome tracking on/off? How do I view my client's outcomes?